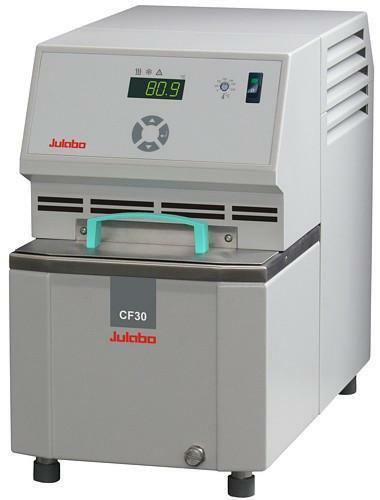 The CF series offer compact refrigerated/heating circulators made of high quality stainless steel or plastic with a heating capacity of 2 kW. 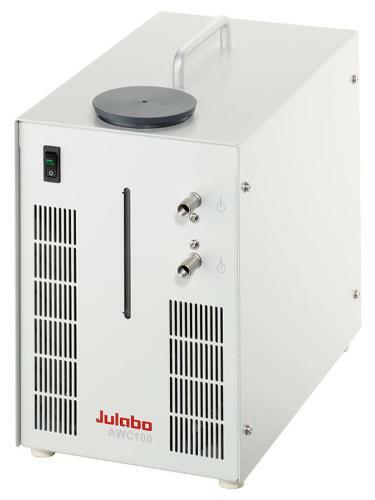 The maximum ambient temperature of +40°C as well as a ventilation air cooling allow installing the units very closely side by side with other units or directly under a fume hood. 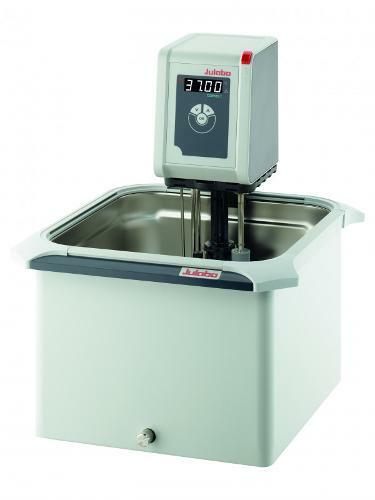 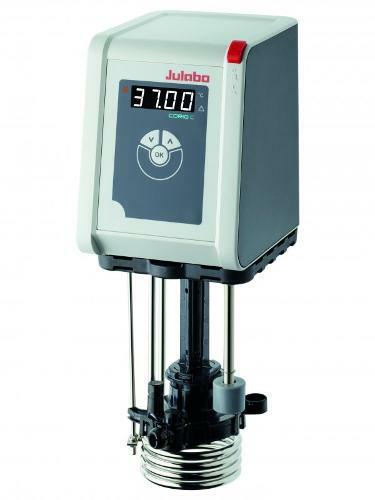 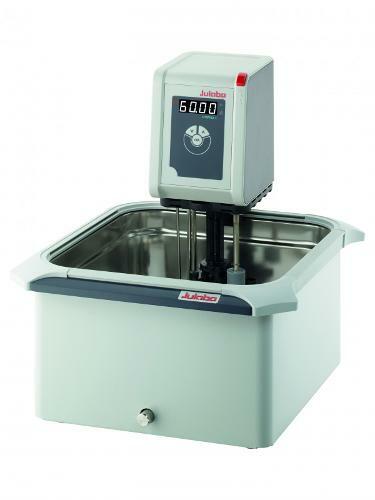 Furthermore all the models feature pump connections for external temperature applications and a bath opening for temperature control of small objects directly in the circulator.